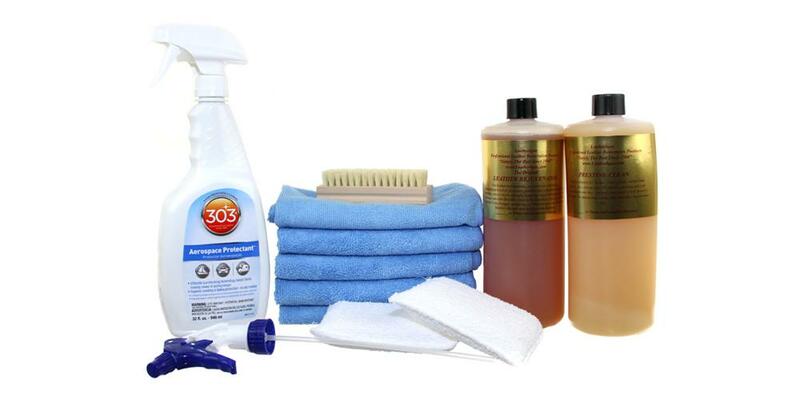 We have hand picked each item in the Leather Care 32 oz Kit because they are highly effective when paired together. To create the best kit possible we utilize our years of detailing experience, combined with input from some of the best detailers around the country. We are confident you will get outstanding results with each item and really enjoy how your vehicle looks afterward. Save $36.89 off of the retail price of individually purchasing these items! In the past, I have purchased and tested a few other leather care products that have left me disappointed. While I would still like to try out a couple of select products I find myself not wanting to stray away from the Leatherique duo. Once I tried it, I was hooked! I have had the same two 32 oz bottles for a while but was running low and needed some more leather care products. I almost went to another product, but why!?! The Leatherique Duo as I like to call it, works very well! Ever since reading Todd Cooperider's experience and usage, I have been following his procedures and I always receive unbelievable results. I have not used the car seat heater's trick, (have not had to yet) but believe that would work just fine. The product cleans and protects all leather types I have used perfectly every time and will continue to use unless I have a customer whom just prefers and absolutely wants another product. After reading tons of reviews I was set on buying this product. Then I read on Leatherique's site that it does not work well on "Finished Leather," which was what I am 99% sure I have in my E46 w/non-M leather sport seats. The car is new to me and the previous owner had let the car sit in the sun with no sun shade or tint to protect the interior, so needless to say, the leather was tough and lacked any moisture. I went ahead and purchased the Leatherique and after only 1 (generous) use the seats went from cardboard to almost new. I left the Rejuvenator on the seats for 2 days before applying the PC. I can't image what they will feel like after I treat them a few more times (as recommended by Leatherique.) A+ on this product, if in doubt don't be it is the real deal. Leatherique products are the best you can buy- period. I've been using them for nearly a decade now. Worth the cost at twice the price-- seriously! But, I'm glad they are still affordable! That is part of the value, but the main part is that they actually work and deliver visible and tactile results. That's important for fee-based endeavors, as well as work performed on my own vehicles. There is no "time to get used to". Simply follow the instructions as posted on this website. These products are very easy to use. Pour into a container, apply with a quality foam brush, "bake" in sun, spray on prestene clean, work in with brush to remove goop, wipe away newly expelled filth with damp microfiber. Repeat until you're ecstatic. Simple / easy / straightforward.